Same heartbeat, more muscle. The 6th generation Black OPS continues to build on its legendary heritage, with aggressive design and unmistakable style enhanced by increased tactical material and features. CNC machined G10 and aircraft grade aluminum provide the chassis with a rugged foundation, to which super tough black type III "hard anodized" coating is added for a non-glare, field ready finish. 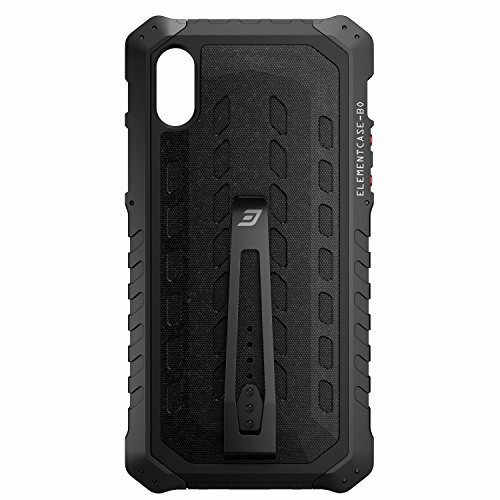 We also introduce the next level of our proprietary DropShockTM technology, expanded to provide impact-absorbing benefits beyond the corners and across the entire case body. Lightweight and low bulk, Black OPS delivers the ultimate in covert protection. DROPSHOCKTMBODY Exclusive impact absorbing three-layer design (aluminum, polycarbonate, TPU) dissipates energy to withstand extreme impact. CNC MACHINED ALUMINUM Side rails on the chassis are CNC machined from aircraft grade aluminum, then bead blasted and "hard anodized" for a super tough stealth finish. SLS SCREW LOCK SYSTEMTM The ultimate degree of protection-10 stainless steel screws secure the aluminum side rails to the DropShockTM Body (EC Hex Tool included). G10 REINFORCED BACK PLATE CNC machined military grade glass composite used to create a chassis that resists twisting and bending. FAST TAPTM CNC BUTTONS CNC machined aluminum buttons protect iPhone controls while providing quick and easy use of volume and on/off functions.